Have you ever wondered how your microwave buttons work? Ask Eclipse Screen Printing, a company that has specialized in technical screen printing for the past 22 years. They print the membrane switch that you use every time you heat up your leftovers or make microwave popcorn. 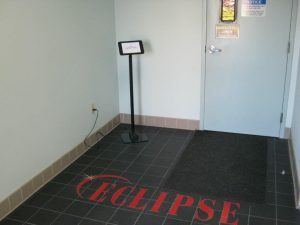 Located in Spokane Valley, Washington, Eclipse Screen Printing is a small but mighty business that screen prints membrane switches and flexible circuitry, and provides laser and die cutting, among other services. As you can imagine, they serve a very niche market, primarily in the electronics, aerospace, industrial, and medical sectors. Because they work in these areas, they’re required to collect information about the people who visit their facility. “We’re involved in aerospace and government work, so we need to be ITAR certified,” Mark Norton, Eclipse’s Sales and Marketing manager, explained. “You really need a good system to track and regulate who’s in and out of the facility. That was our primary driver to seek out a visitor management system.” Norton looked into a few different options. With a small team and busy facility, they needed something up and running immediately. Ultimately, Norton decided on The Receptionist for iPad because it’s a turnkey solution. It worked as needed right out of the box, with no customization required. Prior to using The Receptionist for iPad, Eclipse didn’t have a formal check-in process. “Sometimes, no one was in the reception area, and our visitors ended up waiting around,” says Norton. Now, the check-in process is completely automated. There’s no need for anyone to track down employees when a visitor arrives, and no one is left out front wondering what to do. “The two-way communication feature is great,” Norton says. “In the past, we’d have to run back into the shop to find someone. Now, The Receptionist for iPad sends a text that you get right away. That’s a big feature for us.” Overall, they’re happy with The Receptionist for iPad and their customers are, too. 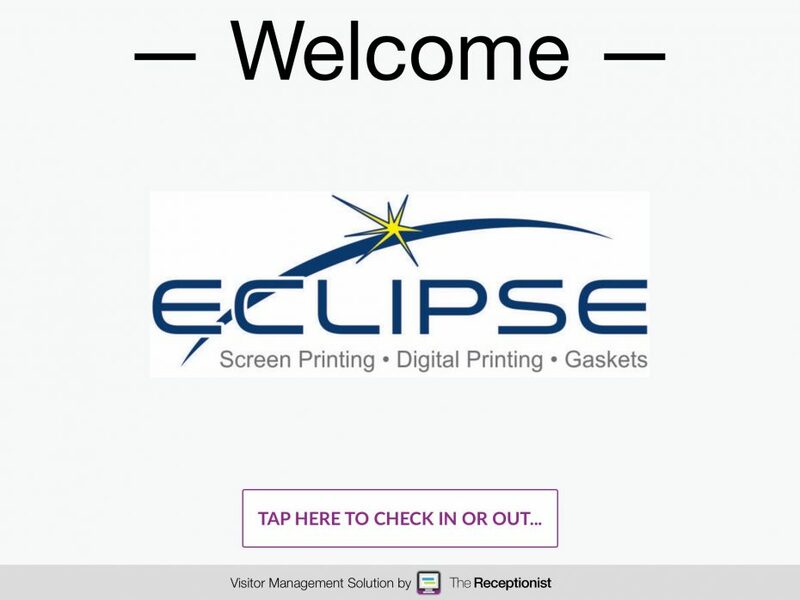 We love helping companies like Eclipse Screen Printing make visitor management simple and efficient. To see how The Receptionist for iPad can benefit your company, sign up for a free 14-day trial. 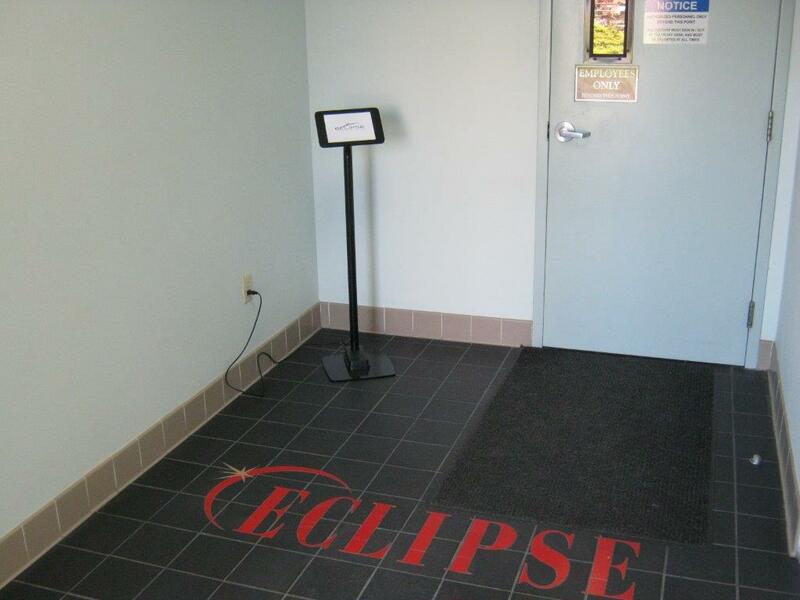 Eclipse Screen Printing offers membrane switches, overlays, labels, decals, and a host of other products and services for the electronics, aerospace, medical, and industrial markets.